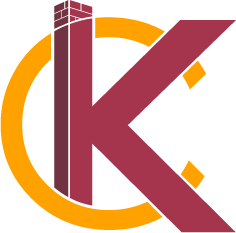 Renovation | KC's Improvement & Construction Co., Inc. Renovation | KC's Improvement & Construction Co., Inc.
KC’s Improvement & Construction Co., Inc. has a solid reputation in residential construction, but has also completed some amazing commercial renovations in the past few years. Here are just a few of the commercial projects we’ve undertaken. Indian Motorcycle specializes in vintage bikes that have history and class, and the owners had no desire to be located in a newly-constructed “motorcycle mall.” We understood their vision and fulfilled it by renovating a 1950’s warehouse into a sleek, classic showroom complete with electrical wiring and upfits. This complete building transformation has been one of our most elaborate commercial renovation projects to date. The sleek wood flooring, paired with metal and wood accessory shelving, work together to perfectly compliment the brand’s “motorcycle” image. We are proud of this project, which allowed us to participate in the revitalization of historic Greensboro that has been occurring over the past few years. Dancing Dogs Yoga is a Savannah-based Power Yoga studio offering classes, workshops, and teacher training in vinyasa yoga. When Dancing Dogs decided to expand to Greensboro, we were excited to be given the opportunity to renovate their new location. This commercial renovation involved a complete transformation of the building’s interior. The space was completely reframed and reorganized to accommodate a studio. We then added yoga rooms, bathrooms, office spaces, new flooring, paint, and everything in between, creating a smooth-flowing, comfortable and relaxing environment. We finished the project on time and were rewarded with a very Zen customer. Namaste! 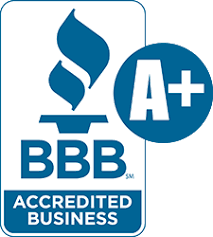 If you’re considering expanding or renovating your business, give us a call to become one of the happy customers featured on this page.